In a previous column, I addressed a tall static plank with sliding hip flexion. 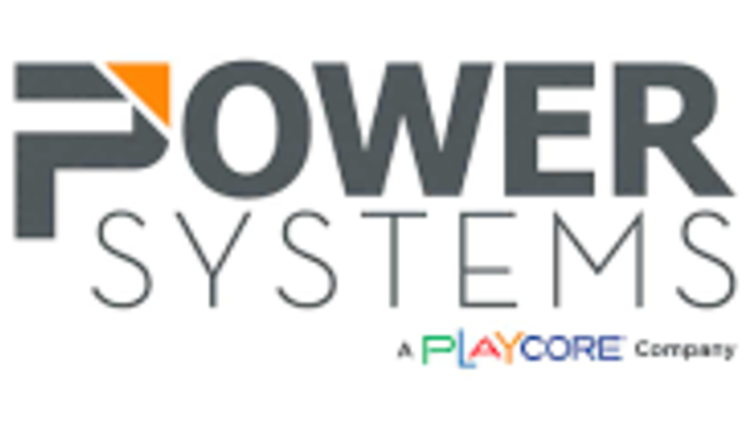 In this column, I am expanding on that concept with the use of the BOSU Ballast Ball and BOSU Balance Trainer. Developing pillar (shoulders, torso and hips) strength is critical for performance and injury prevention alike. 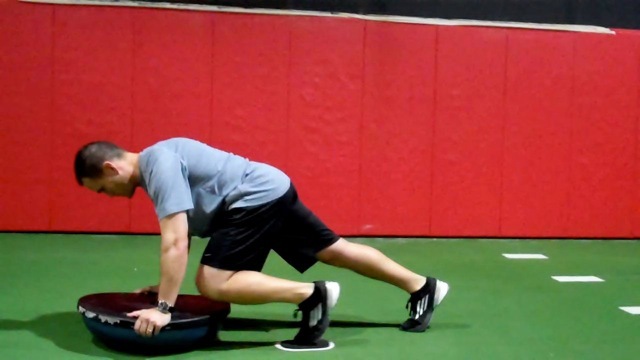 Specifically, improving anterior rotational stability is important for optimizing movement patterns. These exercise variations are for higher level clients, and will add a new challenge to their stability. 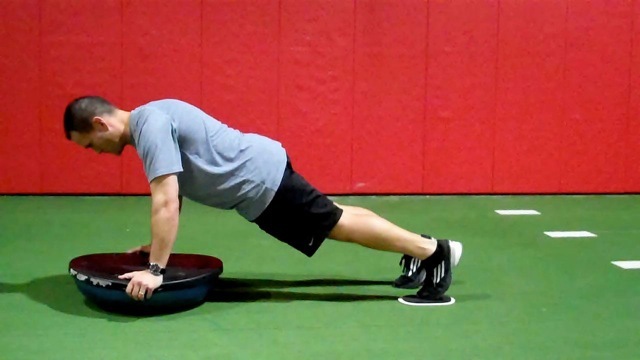 BOSU Balance Trainer - begin in a tall plank position with the hands beneath the shoulders with hands on outer portion of the BOSU Balance Trainer and position the left foot on a slider. Both legs are fully extended to start, and the other foot will rest on the floor. The feet should be about shoulder width apart. Next, slowly slide the left foot forward flexing the hip to 90 degrees. Pause at the top and then return to the start position. Perform 10 repetitions and then position the slider under the right foot and repeat. Perform 1-2 sets on each side. The cadence can be 1/1/1 or 1/1/2. The supported leg and spine should remain as straight as possible throughout the movement. Cueing clients to maintain a tight core or neutral spine will help as they get into the start position. 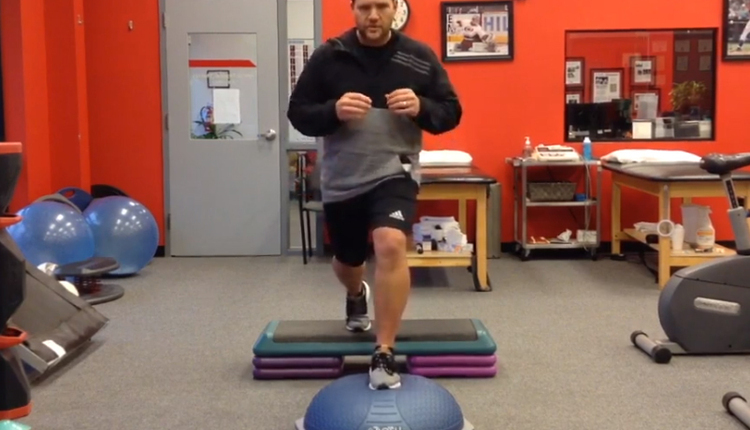 In addition, focus on keeping the BOSU Balance Trainer as level and still as possible throughout. 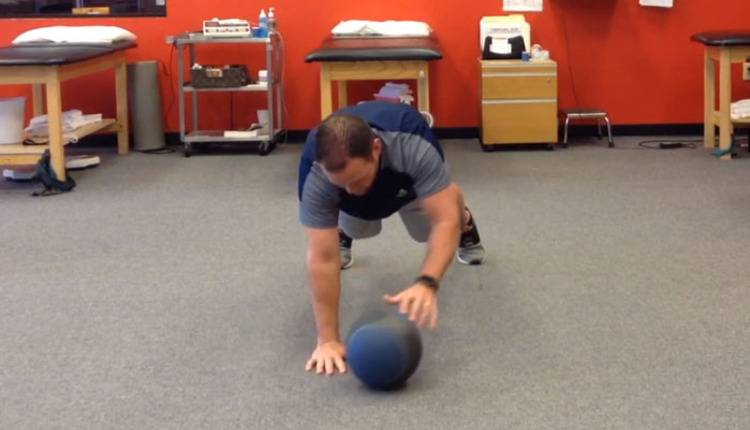 BOSU Ballast Ball - begin in a traditional plank position with the forearms on the BOSU Ballast Ball. Set the initial position based upon the client's ability to control their spinal alignment. The rest of the exercise will be performed in the same manner listed above. 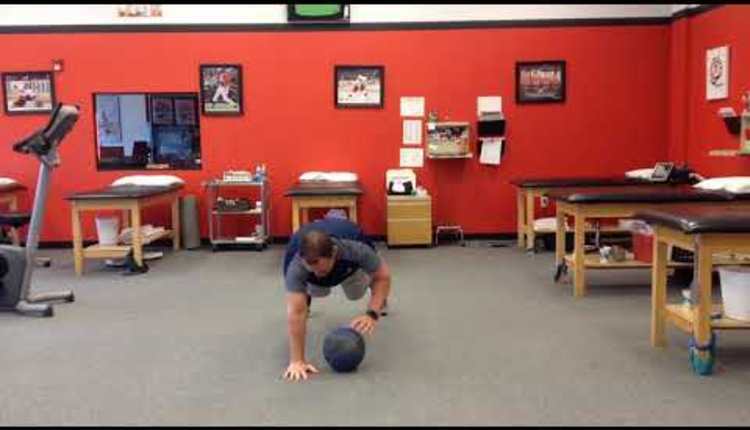 Note: clients may achieve slightly less hip flexion in light of the BOSU Ballast Ball coming into contact with the sliding knee. 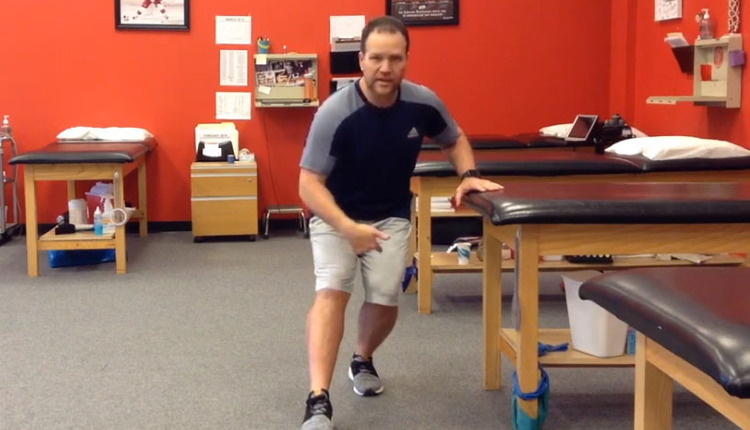 Simply remove the sliders and perform a single leg mountain climber movement grading the degree of hip flexion based on the client's ability to sustain the proper form. Work one leg at a time and then advance to the alternating pattern before advancing to the sliding versions. Clients may feel more stable on the BOSU Balance Trainer in light of the ability to rely on their hands and shoulder stability for more support. 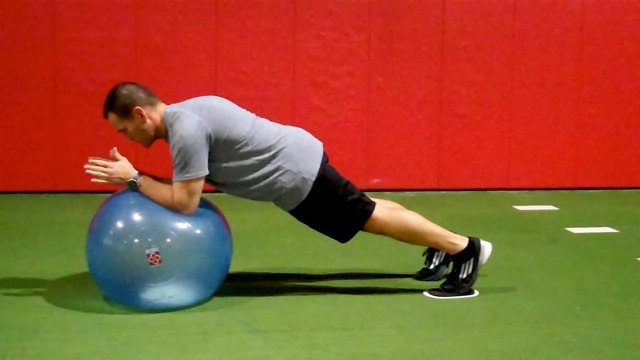 This exercise is an effective tool for improving hip flexor strength as well as shoulder and trunk stability. 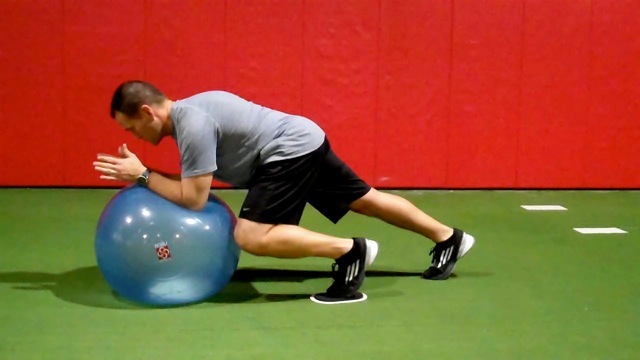 It helps to re-enforce and train anti-extension and anti-rotation strength in the trunk which will in turn reduce load on the spine and improve alignment for running, sprinting and sagittal plane movements. 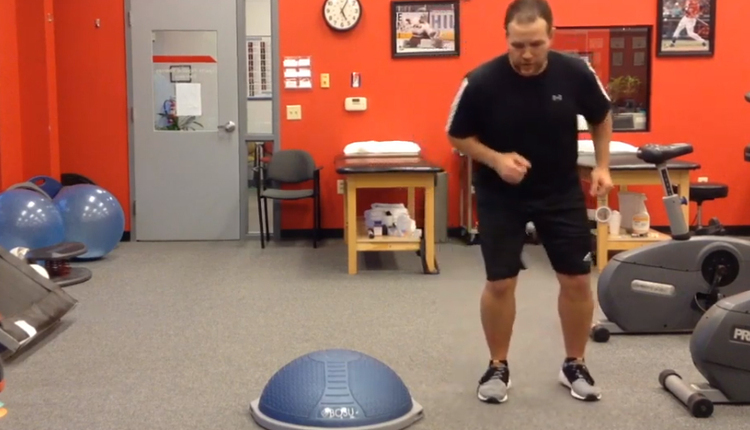 Add BOSU to the equation and intensify your training programs. You've trusted BOSU for years, and now we're giving you more reasons to make BOSU an essential part of your fitness and training routines. You + BOSU. For the best result. 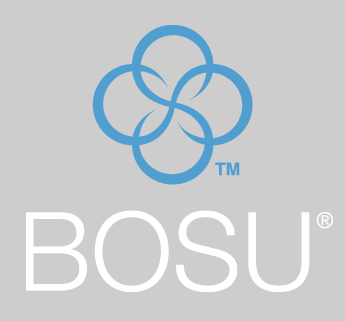 See the new resources and build your equation at bosu.com. Brian Schiff, PT, OCS, CSCS, is a licensed physical therapist, respected author and fitness professional. Currently, he serves as the supervisor at the Athletic Performance Center in Raleigh, NC. Brian presents nationally at several professional conferences and seminars on injury prevention, rehab and sport-specific training. For more cutting edge training information, subscribe to his monthly Training & Sports Medicine Update at www.BrianSchiff.com.